The State of Calderdale assembly is held annually. It is hosted by Calderdale Council to bring together key representatives from the public, private, and voluntary and community sectors. Each organisation has its own priorities, many of which are similar to other organisations in the borough. The event enables a discussion between all partners as to how to meet these priorities, identify where there may be gaps and provide opportunities for working together. By targeting our resources together, we can work together to make the most improvements for Calderdale. 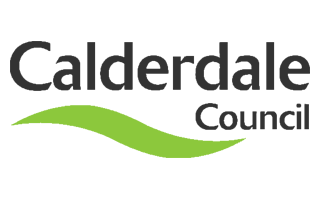 The theme for the 2018 assembly was Calderdale Vision 2024 - Calderdale Council will be 50 in 2024 and the vision is our ambition for where we want to be by our anniversary. You can also watch the keynote speech from the 2018 assembly, given by Lord Victor Adebowale, Chief Executive of Turning Point: State of Calderdale 2018: Keynote speech. The information in this dataset provides signposts to the key issues that inform the Council's three priorities - Grow the economy, Reduce inequalities, and Build a sustainable future. This dataset also includes a report that looks at the State of Nation 2017: Social mobility in Great Britain by the Social mobility commission. Information on the population of Calderdale. Number of private sector jobs, resident population, and number of private sector workplaces per 1,000 resident population. A set of 18 inclusive growth monitors, as identified by the Joseph Rowntree Foundation (JRF), that provide a good benchmark of how an area is performing. Percentage of Key Stage 4 pupils achieving 5 GSCE grades of A* - C (or equivalent) including English and Mathematics. Percentage of principal and non-principal roads that should be considered for maintenance. The presentation slides from the State of Calderdale 2018. A report into social mobility looking at the latest report by the Social mobility commission, and how Calderdale compares to others in the Leeds city, Yorkshire and Humber, and Best borough in the north regions. An account of the event, covering the key note speech, responses from the key partners in Calderdale, results of the interactive voting exercise, and a summary of the suggestions made during the 'World Cafe group' exercise.